Your brand has a boring, generic, descriptive name. This is causing it to blend in with a crowded field of weakly-named competitor brands. If you want people to notice, pay attention to and care about your brand, you must not act out of fear. Be bold and unafraid, not ruled by FOSO — Fear Of Standing Out. Your brand name is an invented mash-up with no meaning. Don’t be fooled into thinking that the semantic meaning of individual morphemes translates into real-world brand engagement. It doesn’t. Such names may technically (linguistically) have “meaning,” but, like snowflakes in a blizzard, they are not meaningful. You brand name came from a visit to the thesaurus. Nearly all companies who move beyond the boring, descriptive name and the incomprehensible mash-up go this route, so it’s another excellent way to get lost in the crowd. Get over the idea that finding the right experiential synonym for “advanced,” “intelligent” or “powerful” in a thesaurus will lead to the perfect name. It won’t, because those names have already been done to death. Ditch the thesaurus and go deep instead – a poetic metaphor that maps to your brand positioning will transform your brand identity from a liability to a powerful business asset. Let you competitors adopt boringly “appropriate” names from a thesaurus — they’ll be doing you a great favor. Your brand is shrouded in vacant, overused words like “solutions.” A quick web search will confirm that you can find a solution for nearly every problem, except perhaps for the problem of having too many “solutions.” Other empty vessels include “network,” “business,” “business solutions,” “leading provider” (“leading” anything, for that matter), or the ultimate, “a leading provider of business solutions.” Search that last phrase in Google, in quotes, and you will see that millions of results are found. Don’t toss your beautiful needle into that haystack. Your brand name is different only for the sake of being different or extreme in any way just for the sake of being extreme. The most powerful names are those that best support their brand’s positioning, no matter what, and depending on the circumstances, a name might be “extreme” or it might not. If your name is trying too hard to be different just in order to stand out, it won’t — it will blend in with all the other names that are also trying too hard, and failing, to stand out. This is a mistake frequently made by technology startups. The most important thing is that you should never “settle” for a mediocre name for your brand, when a great name can be such a powerful force for business success. Find a lot more tips in our Naming & Branding Manifesto, or download our free Naming Guide, which includes the Manifesto and much more. A group of U.S. experimental aircraft (X-Planes). 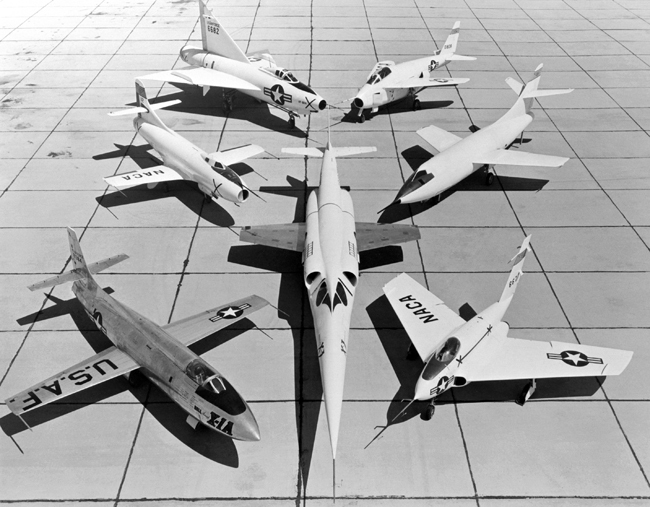 In the center, the Douglas X-3 Stiletto; around it, clockwise from bottom left: Bell X-1A, Douglas D-558-1 Skystreak, Convair XF-92A, Bell X-5, Douglas D-558-2 Skyrocket, Northrop X-4 Bantam. I first encountered the X modifier in my youth. As an aviation enthusiast I was introduced to the radical X-3 Stiletto. The X-3 Stiletto was an experimental jet aircraft designed and manufactured by the Douglas Aircraft Company for the U.S. National Advisory Committee for Aeronautics (NACA). The NACA was the precursor of the National Aeronautics and Space Administration (NASA). X has many other uses in addition to designating an experimental aircraft: it is a common variable for unknown or changing concepts in mathematics; in astronomy, X stands for a comet of unknown origin; X is a symbol on a treasure map to mark the spot where the treasure is buried; in bowling X signifies a strike; and X is a placeholder for the legal signature of an illiterate person. On a more romantic note, Xs symbolize the kisses paired with the Os of hugs in warmhearted salutations. Besides these common uses, the X modifier is often deployed as branding shorthand to differentiate some person, product, or service as being advanced, audacious, bleeding-edge, bold, contemporary, daring, earth-shattering, forward-looking, fresh, game-changing, genuine, ground-breaking, gutsy, innovative, modern, newfangled, novel, original, pioneering, rejuvenated, sophisticated or unique. The use of X is everywhere, and seems to be the gift the keeps on giving. So I decided to look into the origins of the X that so often marks the spot. Here is a brief summary of my findings. Vincent Gallo & Christina Ricci form A Vintage Of Hipsters, A Ring of Opera Goers, A Rave of DJs, A Salutation of Yoga Instructors, A Festival Of Indie Filmmakers or perhaps just a run-of-the-mill Enigma Of Conceptual Artists. Generations of word lovers have been turned on by James Lipton’s An Exaltation of Larks. The book details the provenance of more than 1,100 “nouns of venery,” as they are were called in the 15th century, including a pride of lions, a smack of jellyfish, an ostentation of peacocks, and many more. If you said to me what part of our success is due to our name, I’d say it’s a big part of it ’cause it’s a great name, right? It says everything. It does indeed “say everything,” but not in the usual, descriptive way. Instead, the name tells a great story, tapping into the Robin Hood mythos of “robbing from the rich to give to the poor,” updated for the 21st century. The way The Robin Hood Foundation pulls off this feat is very smart, and well-told in the 60 Minutes piece. It is refreshing to hear a successful business leader, let alone a billionaire, acknowledge that success in business is not merely the result of a great product, vision, or founder’s genius. That having the right name can make all the difference in the world between achieving average results or phenomenal success. You’re likely familiar with the buzzword FOMO — Fear Of Missing Out. We even named an app, Gravy, that helps people avoid missing out on interesting things happening nearby. Here’s a new buzzword I’d like to coin right here and now: FOSO — Fear Of Standing Out. This is a real phenomenon we have observed time and again in regard to company and product brand names. It is ironic because naming and branding is usually considered to be part of a company’s marketing efforts, and marketing is all about getting your brand to stand out from the crowd and be noticed, talked about, recommended and remembered. Yet for some reason, when it comes to naming, many companies become blinded by this irrational fear of standing out, and–consciously or subconsciously–elect to blend in with their competition rather than stand apart. In our Manifesto entry number 18, Let Your Freak Flag Fly, we write: “It’s a very simple calculus: if your competitors are all doing the same thing, then you will stand out if you do something different. And the first and most visible point of differentiation is with your name.” We don’t mean being different just for the sake of being different (see manifesto entry #24, Difruhnt, But Not That Different), but by connecting the dots metaphorically and poetically to a unique, compelling brand positioning story, your brand will naturally stand apart from the crowd. But first your company must overcome its FOSO. Zinzin can help. We have found that a rigorous and time-tested process such as ours helps everyone on the client naming team understand the reality of the marketplace, why great brand names succeed, and work through the internal divisions and concerns that are likely the root of their Fear of Standing Out. Foso also just happens to be a Spanish word for a moat, ditch, pit or hole dug in the ground, a perfect metaphor for what can happen to your business if you allow your brand to be mired in the ditch that is Fear Of Standing Out. So let’s all open the window, or stand on our cubical desks, and shout to the world: No more FOSO! 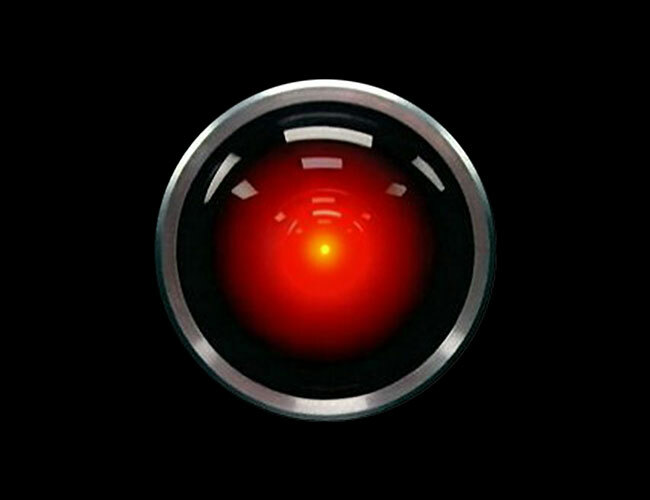 Although it is often conjectured that the name HAL was based on a one-letter shift from the name IBM, this has been denied by both Clarke and 2001 director Stanley Kubrick. In 2010: Odyssey Two, Clarke speaks through the character of Dr. Chandra (he originally spoke through Dr. Floyd until Chandra was awoken), who characterized this idea as: “[u]tter nonsense! […] I thought that by now every intelligent person knew that H-A-L is derived from Heuristic ALgorithmic”. As is clearly stated in the novel (Chapter 16), HAL stands for Heuristically programmed ALgorithmic computer. However, about once a week some character spots the fact that HAL is one letter ahead of IBM, and promptly assumes that Stanley and I were taking a crack at the estimable institution … As it happened, IBM had given us a good deal of help, so we were quite embarrassed by this, and would have changed the name had we spotted the coincidence. Also, IBM is explicitly mentioned in the film 2001, as are many other real companies. IBM is given fictional credit as being the manufacturer of the Pan Am Clipper’s computer, and the IBM logo can be seen in the center of the cockpit’s instrument panel. In addition, the IBM logo is shown on the lower arm keypad on Poole’s space suit in the scene where he space walks to replace the antenna unit, and may possibly be shown reflected on Bowman’s face when he is inside the pod on his way to retrieve the body of Poole (there is speculation as to whether or not the reflection is that of the letters “IBM” or the letters “MGM”, the film studio). HAL has become such an icon of our culture that we are fortunate neither Clarke or Kubrick noticed the downshift from “IBM,” or this epic computer may have been named “Siri.” Or Dora. Or Obie. Or any one of these other names of fictional computers. Check out the agency’s portfolio. Have they created any great names? Do they demonstrate the ability to create a range of names, or only a narrow niche? Do any of the names resonate with you? Does the agency have a well-developed process for creating names? Is it transparent and easy to understand, or is it missing in action, hidden behind a proprietary TM-branded “black box” or riddled with alienating biz-speak and obfuscating consultant diagrams? Does the agency have a clear philosophy of naming? Do you get the sense that they live and breathe naming? Does it seem like they enjoy their job? Can you get company principals on the phone to discuss your project, and are they helpful, or are you routed to “account rep” intermediaries? Is the agency a thought leader, or a follower? Are they talking about the same things in the same way as all other naming companies, or do they offer a fresh perspective? Do they have strong opinions that they are not afraid to share? Do they engage in conversations, or is it mostly just one-way marketing chatter that’s all about them and how awesome they are? Do you get the sense that working with this agency will be an enjoyable experience? Is their process interactive, encouraging your involvement and input? Are they good listeners? Is the agency’s own name any good? Does it tell a story? Does it rise above the goods and services being offered? Has the agency invested it with meaning and built a strong brand identity for themselves? What is the essence, the core value, of your brand? What is the core value of any company you hire, for naming, graphic identity, or advertising? It is no longer enough for brands just to shout messages for “consumers” to digest — brands, companies must be engaged with their audience, society in general, and the world we all live in. So before you engage an agency to position you in the global village, make sure they understand the fundamental shift in how business is done that is going on right now, or they might just build you a glossy new pedestal to display your vision in a museum of dead brands. 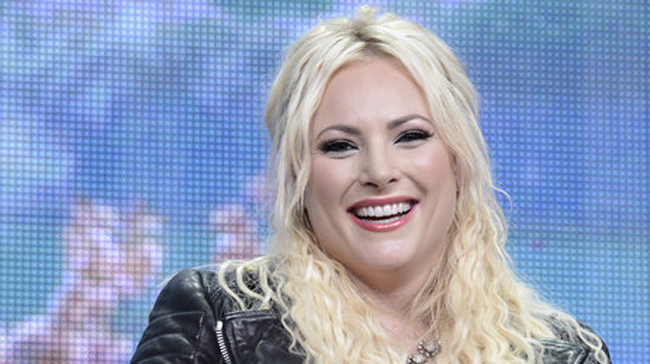 NPR’s Michel Martin interviewed Pivot’s “docu-talk” host Meghan McCain recently. Here is a brief excerpt and you can read or listen to the complete interview as well as watch a clip of the program at Tell Me More. Meghan McCain comes by her maverick credentials honestly. As the daughter of Arizona Sen. John McCain, she is no stranger to the political limelight. But that doesn’t mean she always agrees with her dad or Republican political orthodoxy. It’s that unique perspective that is at the center of her new television show, Raising McCain. The newly launched Pivot network describes the program as a hybrid “docu-talk” show. Each episode features a different co-host and is filmed in a documentary style. But don’t expect crying on couches or gift baskets under the seat. She’s tackling topics like feminism; lesbian, gay, bisexual and transgender rights; and young people in the military with an eye on her millennial target audience. I’m such a child of the ’90s. I grew up watching MTV News and watching their “Choose or Lose” correspondents interview my dad. And I always thought they were such interesting, cool people. Tabitha Soren has had such a profound impact on my life. … I just wanted to do a talk show for young people that was discussing serious issues, but not doing it in a way that talks down to people that don’t have it all figured out. You know I’ve never considered myself a journalist, ever. I’ve always considered myself a commentator. I mean I was born into a bias. … If someone wants to watch a more even opinion about coming out in America or gay rights, I’m not the girl for you. I have such a strong opinion. … What I’m always secretly trying to get is that young Republican kid in the middle of the country who is maybe struggling with how he feels about social issues and just knowing that there are other people out there that struggle with that. The government shutdown right now — because we have this innate capability to compromise and work together — it makes me so sad. I don’t know when we’re going to this tipping point where hopefully things will come back around. But I was just talking to my father on the phone right before I came in here to do this interview and he’s saying that this is the worst time in Congress he’s ever seen in his entire career. I mean, what does that say? I blame cable news. I blame politicians as well. But at a certain point, I don’t understand some portion of the American public that supports radical personalities. I’ve never understood it. I always want to compromise, and I always want to find the other side of the opinion and see if I may be wrong. I’m open to my opinion being changed. I’m open to the idea that I could be wrong. And it’s just scary, crazy times that we’re living in. And Congress is a bunch of petulant children that can’t work together. Tom Waits, Saved and Named Seeds (Heirloom Tomato). From the book WAITS/CORBIJN ’77-’11, 2013. Waits’ vibrant persona helped Corbijn define his narrative, cinematic style of still photography: images that felt as if you were coming in on the middle of some unfolding drama. In turn, Corbijn helped Waits evolve his visual style into a new theatrical self that synced beautifully with the experimental music he was making with Brennan. And lead him to his own photography, collected here for the first time under the title “Curiosities,” a visual handle to the artistic intelligence millions of fans know only through his music. Photographs of Tom Waits by Anton Corbijn, photographs by Tom Waits of the vivid quotidian, stretching down through the years, and presented for the first time in a beautiful clothbound book; side by side, these 226 images record one of the longest and most fruitful collaborations in the careers of both artists. I love this artwork above, where Waits identifies the “seeds” of his artistic self with the literal seeds of a smashed tomato, that traditional symbol of fan revolt against artists, making this both a homage and an insurgency. You can see more of Waits’ visual work, replete with stains, poem fragments, desperados, shadows, jackrabbits and the detritus of abandoned dreams, in the photos section of his website. We are excited to announce the launch at 6pm ET today of the new television network from Participant Media, Pivot, named by Zinzin. Pivot is a social action and general entertainment TV network for millennials, and is all about thinking on your feet, adaptation and informed change. The old ways of thinking and relating to the world aren’t working. It’s time to Pivot. Read the Pivot Case Study. 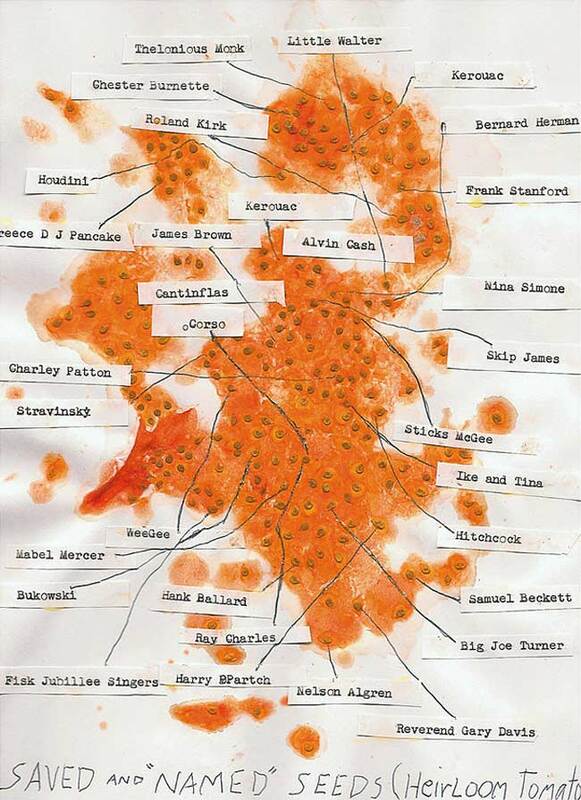 For its update, which celebrates a new generation’s creative power, Pivot recorded independent artists live all over Los Angeles, including Run River North, Goldspot, London Thor, Far and Away, Musical Mammal and Rainbow Jackson. Watch it below. The EW article continues with Pivot president Evan Shapiro, formerly of IFC TV and the Sundance Channel, discussing what’s to come on the network: the imported Australian comedy Please Like Me; Friday Night Lights; Little Mosque on the Prairie; TakePart Live; Raising McCain, hosted by Meghan McCain; Jersey Strong; and coming next year, Joseph Gordon-Levitt’s HitRECord, and Will, an hourlong drama series imagining William Shakespeare in his early 20s. Check it all out, on Pivot. The youth of today cannot compare with this — and that’s a good thing! 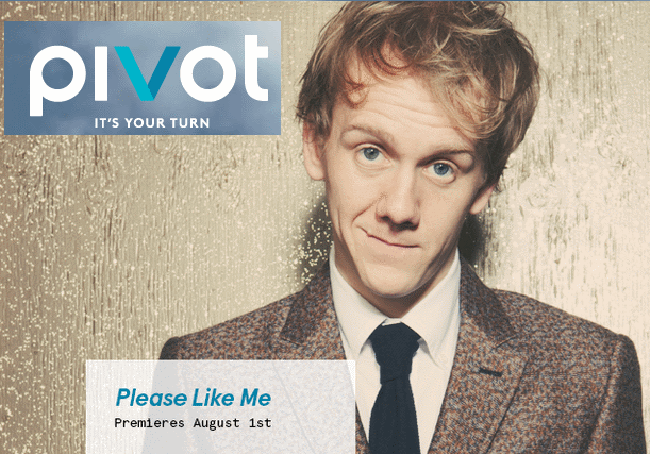 Follow this link to Find Pivot on TV in your area. New name: pivot (lowercase) is our name for a new social action and general entertainment TV network from Participant Media. Pivot is all about thinking on your feet, adaptation and informed change. The old ways of thinking and relating to the world aren’t working. It’s time to pivot. Read the pivot Case Study. New name: Larky is our name for a company and mobile app that keeps track of all your perks and reward program memberships in one place. Larky plays off “lark” — a carefree or spirited adventure, harmless prank, or family of melodious songbirds — in fun, playful, singsong way, and also conjures up a “lucky” feeling. Read the Larky Case Study. New name: Gravy is our name for a hyperlocal event listings mobile app. Gravy is the good stuff, the “secret sauce,” a source for discovering all the juicy things going on around you. The brand embodies — and the new name demonstrates — a rich and flavorful experience. Read the Gravy Case Study. New CAN entries: We have added new entries to the Compendium of Amazing Names (CAN), with more to come soon. The CAN is where we highlight great company, product and services names, wherever in the world we find them.